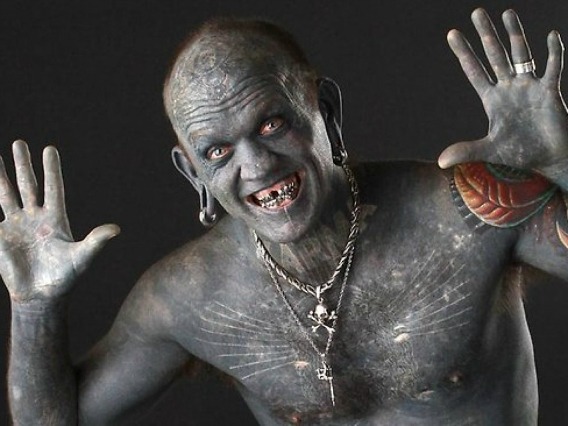 changed its name to Lucky Diamond Rich, tattooing his body with a closed until the ink completely. so he grabbed a Guinness World Record in 2006 as the guy with the most tattoos around the world. It's a few people who intentionally modifying his body with extrime, may add to our insight Yes..